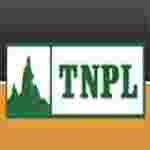 TNPL recruitment 2018 notification has been released on official website www.tnpl.com for the recruitment of 01 (one) for Assistant General Manager vacancy. Job seekers should apply on or before 03rd January 2018. Here on this page you will get the details like the Name of vacancies released by TNPL with exact number of posts. Some other criteria like Education details, application fee and way to apply application for TNPL recruitment 2018. Educational Qualification: First class full time BE / B.Tech in Chemical Engineering / Chemical Technology / Pulp & Paper Technology or Full time Arts / Science Degree with First class full time PG Diploma in Pulp & Paper Technology or First class full time Bachelor of Applied Science (B.A.Sc.) in Pulp and Paper Science / Technology or First class full time B.Tech (Cellulose Technology) or First class full time M.Sc (Pulp and Paper) / M.Sc. (Cellulose & Paper Technology). Interested and eligible aspirants should apply in prescribed application form along with relevant documents & experience send to the General Manager (HR), Tamil Nadu Newsprint & Papers Limited, Kaghitapuram, Karur District, Tamil Nadu – 639136 on or before 03.01.2018.